Meet Mr. Hulot—he's always in the middle of the action! Created and played by French comic actor and filmmaker Jacques Tati, Mr. Hulot is a beloved charater in France. David Merveille’s comic strip style illustrations depict 23 captivating scenes with a page turn that builds suspense for each surprise ending. From buying a snow globe on a warm summer day—shaking it—and causing the sky to snow, to a crazy visit to the zoo where Mr. Hulot has something in common with every animal at the zoo—Merveille’s creations are a delight to the observant and curious eye. • This almost wordless picture book is entertaining, unique, and oh so very French! • Children will love Mr. Hulot’s boundless imagination and enthusiasm, as well as his Gallic charm. • The books were turned into a series of short French films in the 1960’s, and Rowan Atkinson cites them as inspiration for his Mr. Bean character. David Merveille works for the press and teaches graphics and illustration at the Institut Saint-Luc in Brussels. He has worked on many publicity campaigns in France and Belgium, and creates posters and illustrations for a daily newspaper called La Libre Belgique. 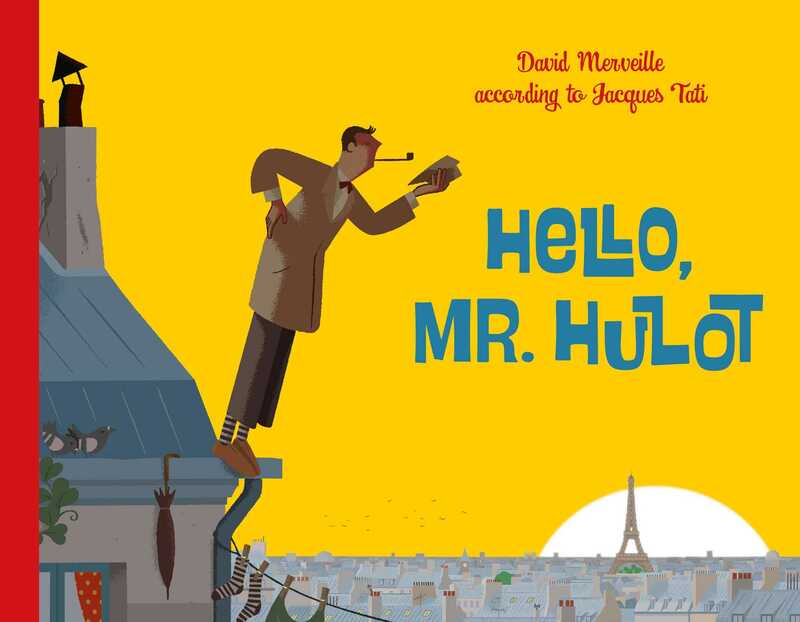 Other books by Merveille include–Le Jacquot de Monsieur Hulot—2005–Hello, Mr. Hulot—2013–Mr. Hulot at the Beach—2015.